I wasn't going to do it. Nope. Saw the ads. Just not going to do it. Then my secret pal from River City Quilt Guild gave me several patterns, license plates and one kit. I was hooked. Here are some of my rows. This is my first row I did. Love it. It is from the Cornerstone Quilt store in Fairfield CA. A good friend, Diane Steele, won Meissner's Row by Row Experience. The goal is to be the first to make a quilt using eight different rows from eight different quilt stores and turn the quilt in to one of stores you have featured in your quilt. Good job, Diane! Here are more that I have been working on. I have yet to put any together into a quilt. I have 28 kits and/or patterns. I need a plan on how they will go together. I have several from out of California. They will go into a quilt on their own, I believe. Then I also have some that are ocean scenes. They will probably have their own quilt. 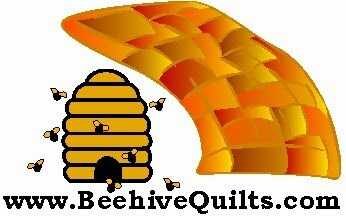 Then the geometric designs will either be their own quilt or will be the sides of the horizontal rows. We will see after I get a few more done. The above one is from Colusa quilt store. Love this design (above). It is from Morgan Hill California. Check out what the green design is. Too cute! If you cannot tell what they are, go down ** past the Thistledew's picture and I will tell you. This one is from Runs With Scissors in Citrus Heights California. Easy to make. This seascape is from the Stockton California store. Another one of my favorites was from Thistledew Quilt Store in Fair Oaks California. See above. I made the above row Saturday. Love it. The pattern came from A Quilted Heart in Vacaville California. I didn't have the kit, just the pattern. I wondered where I would ever find rain-like fabric. Then when I walked into Meissner's here in Sacramento, there it sat waiting for me. I only needed a 1/4 of a yard. All the other fabric came from my stash. Nice. Love the boots. Love, love, love the above one. You can click any of the pictures and they will enlarge so you can see them better. Check the fish out. Again I only had the pattern. I found at Meissner's a panel with all kind of fish and sea life. I fussy cut these off the panel. I almost wished I could have more fish bowls to put more of the fish on that panel. It also has sea horses on it that I plan on using on another row. 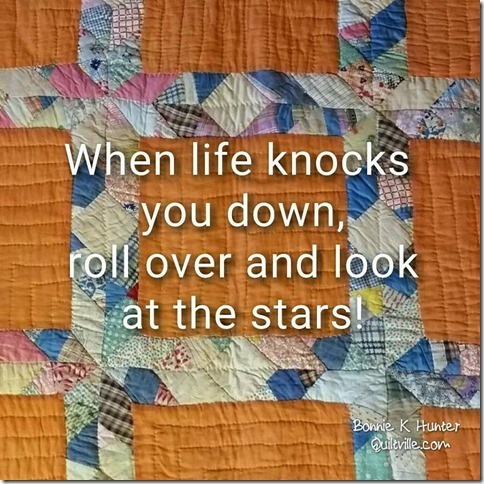 This pattern came from a quilt store in Denton Texas called Ps and Qs. My secret pal is responsible for most of these. Thanks so much. I can't wait to find out who you are so I can thank you personally. Most of these rows are super easy to make. I made the fishbowl one today. I try to work on at least one a day, except for Sundays. The above row was the from the kit I purchased at the Danville California quilt store - Wooden Gates. It was super easy to do. I changed the design just a little. They had on the far left part a question mark. I didn't like that part. I took the sign they included in the kit that was supposed to be sewn into the second from the right part of the row and added two posts holding it up in the dirt. The sign says California Drought 2015.